Qualification : (i) A recognized MBBS degree qualification included in the First Schedule or Second Schedule or Part-II of the Third Schedule (other than licentiate qualifications) to the Indian Medical Council Act, 1956 (102 of 1956). Holders of educational qualifications included in Part-II of the Third Schedule should also fulfill the conditions specified in sub-section (3) of section 13 of the Indian Medical Council Act, 1956 (102 of 1956). (ii) Post- Graduate degree in the concerned specialty or Superspeciality mentioned in Section A of Schedule VI i.e. Master of Surgery (Oto-Rhino Laryngology). Qualification : (i) A recognized MBBS degree qualification included in the First Schedule or Second Schedule or Part-II of the Third Schedule (other than licentiate qualifications) to the Indian Medical Council Act, 1956 (102 of 1956). Holders of educational qualifications included in Part-II of the Third Schedule should also fulfill the conditions specified in sub-section (3) of section 13 of Indian Medical Council Act, 1956 (102 of 1956). (ii) Post- Graduate degree in the concerned specialty or Super-speciality mentioned in Section A of Schedule VI i.e. Doctor of Medicine (Social and Preventive Medicine); or Doctor of Medicine (Community Medicine). Age Limit : 43* yrs. Qualification : Degree in Mechanical Engineering of a recognized University or equivalent. Qualification : Master's Degree in Social Welfare or Labour Welfare or Social Work or Sociology or Economics or Statistics or Psychology or Commerce or Education of a recognized university or equivalent. Salary : PB-3 Rs. 15600-39100 + AGP of Rs. 6000 Emoluments Rs.48,600/- (Excluding HRA & SCA). 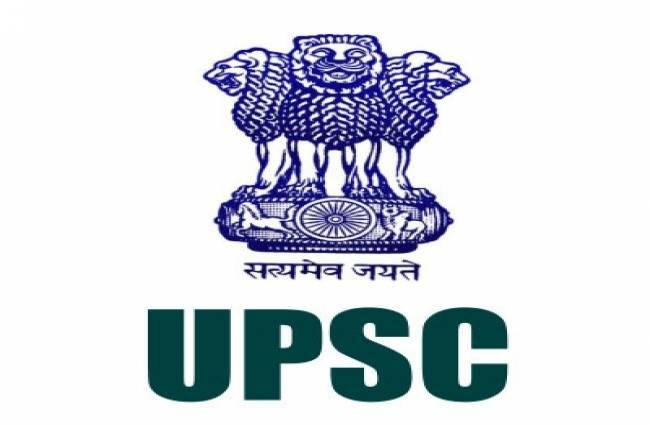 How to Apply : Interested Candidates may apply online through UPSC website www.upsconline.nic.in on or before 02.11.2017 by 23:59 Hrs.